Dr. King is honored you have chosen her for your healthcare needs. She is a Board Certified Family Physician who is dedicated to providing superior medical care to you and your family. The following information is designed to help you become more acquainted with her Practice. If you have any questions, please do not hesitate to ask. We are happy to help. Prescription refills may be obtained by contacting your local pharmacy. They will phone or fax us with the information about your prescription. We send all prescriptions electronically to your local pharmacies as well as to your mail order provider. If you have a scheduled prescription for a narcotic, pain medication , anxiety medication or ADD medication you can now get a refill without coming to the office to pick up a paper prescriptions. If you have not been seen in 3 months you will need to make an appointment for an office visit to obtain the prescription. Without an office visit There will be a $20 fee for the controlled substance to be sent electronically. No prescriptions for controlled substances will be approved if it has been 3 months since your last office visit, and these prescriptions will not be filled on Fridays or weekends. All controlled substance prescriptions requires an office visit every 3 months. Electronic refill requests may take up to 72 hours to be complete. However prescriptions will approved as soon as possible, usually by the next business day. If you have a problem getting your prescription, please call our office during normal business hours. In general, all patients are required to be current patients seen within the last 6 months to get a phone or auto refill. However, some patients may require labs or an office visit more frequently. If you require labs work prior to getting your prescription refill, then you must make a future office appointment at the same that the lab order is written. This is to ensure that the lab results are available for Dr. King to review with you when the refill prescription is written. In order to ensure the confidentiality of your protected health information and to give you the time and attention you need from your healthcare provider, you will be asked to schedule a follow-up appointment to discuss your test results (including lab work). If your test results need to be discussed before your scheduled follow-up appointment, our office will contact you immediately. We accept most private insurances. Please be prepared to show your insurance card at every visit. Keeping your records up to date helps us expedite referrals and authorizations necessary for your care and ensures we have the information needed to bill your insurance company accurately and timely. As a courtesy, we will bill your insurance company for you. If there is a difference between what they pay and the actual bill, you will be expected to pay the balance to our office. We outsource our billing to Kelco Medical Services. Once your insurance has processed the claim you will receive a bill in the mail or by email. There will be a maximum of 4 bills sent for outstanding balances. After that your account is considered delinquent and may be sent to collections. You will also receive an email with an option to pay your bill online. As a convenience we are now accepting online payments through Square. Look for the payment option on the home page. You will need to input your balance from the bill you have received. You can also call our office or the billing company to get your most up to date balance. We do not accept responsibility for charges pertaining to Labs or x-rays. For bills received from CPL , Quest, ARA or any imaging or lab company please call them and or your insurance. At this time, we are sorry but we do not accept Medicaid. Dr. King does not admit patients but she will refer you to the internist or hospitalist on call at the hospital of your choice. To maintain an efficient office, provide quality medical care, and avoid any possible prescription abuses. The following policy explains the General Prescription Guidelines and Prescription Refill Policy for the health providers for the office of Dr. Susan King. The office of Dr. Susan King does not deviate from the Prescription Refill and Controlled Substances Policy. Failure to comply with this policy may result in dismissal from our practice. If, at any point, you have questions about anything, please feel free to give us a call. Please remember to discuss any medication concerns and all refill requests you have with your physician at your regularly scheduled appointments. All chronic medications will require regular follow-up visits at our office. Your physician will determine the appropriate interval between visits. If you need refills and have an appointment, please request them at the time of your visit. If you have any questions regarding medications please discuss these during your appointment. It is your responsibility to notify the office in a timely manner when refills are needed. Approval of your refill may take up to three (3) business days so please be courteous and do not wait to call. If you use a mail order pharmacy, please contact us fourteen (14) days before your medication is due to run out. Preferred drugs and tiered formularies fluctuate depending on your health insurance. If you don’t have a system that alerts you of formulary restrictions as you prescribe, you will likely receive calls from pharmacies requesting new prescriptions for alternative medications. If for any reason you feel your medication needs to be adjusted or changed please contact us immediately. If you think that you are having an allergic reaction to a medication, call the office immediately or go to the nearest emergency room. All new patients must be establishing with the office of Dr. Susan King prior to having a prescription refilled. Medications are prescribed for your use only. They are not meant to be shared with others. Samples are only available for branded medications and if we have them in stock; there is no guarantee that we will have the drug you may need. We do not stock pain medications! Additional lab tests may be required to determine exact dosages of prescribed medications; your insurance may or may not cover these tests. Check with your insurance company if you have any specific questions regarding your coverage. Your provider will not diagnose or treat over the phone. New or unresolved problems will require a clinic appointment. Medications for acute problems (cough, fever) will require an office visit to ensure that a correct diagnosis is made and that an appropriate medication is prescribed. Patients with multiple medical issues and medications are asked to follow up every 3 months. This is to ensure that we take care of all your issues adequately. All regular medications, non-controlled/non-narcotic prescriptions, require a follow up appointment with your provider every 3-6 months (more frequent if necessary). This will be considered a regular office visit. All prescription refill requests should originate from the patient by contacting their pharmacist asking to request the refill electronically. If your prescription bottle indicates you have refills left, you do not need to contact our office. Contact your pharmacy and they will refill it for you; be sure to give the pharmacy adequate time to fulfill your request, Please plan at least five (5) days in advance of your medication running out. Refills will not be granted if a patient has persistent or worsening symptoms. Medication refills will only be addressed during regular office hours (Monday-Friday 8am-5pm). No prescriptions will be refilled on Saturday, Sunday or Holidays. The urgent care staff will not return any phone calls regarding refills. The on-call physician will not answer calls regarding medication refills. Please notify your provider on the next business day if you find yourself out of medication after hours. All chronic non-controlled medications will only be granted a maximum of 5 refills unless instructed otherwise by the healthcare provider. Patients should have been seen in the last 6 months before a refill is given. It is your responsibility to make your followup appointment to ensure you do not run out of your prescription. Please do not call the office and expect your urgent request for a refill without an office visit. Chronic use of habit-forming drugs is seldom in the best interest of patients or physicians. For this reason, Dr. Susan King will NOT be responsible for prescribing chronic narcotics with very few exceptions. A prescribing agreement with strict parameters will be signed in the rare event that long-term use of these medications is required. All prescriptions for controlled substances require a face-to-face encounter in the office with only your treating doctor. It is our strict policy that there will be no refills of controlled substances called-in over the phone or by an after-hours physician when the office is closed. Controlled-substances/narcotic prescriptions require a follow up appointment every 30-90 days. When it is medically necessary for our doctors to treat you with a controlled substance, we abide by all local, state and federal regulations. You will be asked to sign a controlled substance contract (see link below) when your medical condition(s) warrant ongoing treatment with controlled substances. Compliance with your controlled substance contract is not optional, and violation of this policy may result in termination of medication therapy and/or your removal as a patient from Dr. King’s Practice. You will be asked to submit to a urine test to ensure compliance and safety of your controlled substance. You may be granted a refill for a one-month supply of mediation if stabilized on a satisfactory dosage and were seen in the office within the previous 30 days. Due to new insurance and state regulations, controlled pain medications are to be prescribed for a maximum of 7 days. Including prescriptions that are not new or for chronic pain, your insurance may limit you to a 7 day quantity. Quantities over a 7 day supply will require a prior authorization . Patients must be re-evaluated in the office for controlled pain medication beyond 30 days. NOTE ADHD testing is required before Dr King will prescribe Stimulants for new patients. If you have documentation of testing please bring it to your appointment. Patients are responsible for their controlled substance medication. You will need to be seen in our office every month for controlled medications, as we do not handle long term pain management. Controlled substances (pain, sleep, muscle relaxants, stimulants, anti-depressants) are tracked by the Drug Monitoring Program (PMP). Pharmacies and physicians DO track your usage of controlled substances through obtaining an online report, which annotates physicians who have prescribed, and pharmacies that have dispensed these medications. New patients who request a controlled substance for acute pain may receive one prescription of pain medication or controlled substance (at the discretion of the physician) after a PMP report is obtained. Dr. Susan King will not refill controlled substance medication prescriptions. If you require a refill of a controlled substance, and you are an established patient (for at least one month), you will be referred to a pain management specialist or other specialist related to your condition. * Diet pills require monthly follow up to monitor weight and blood pressure. 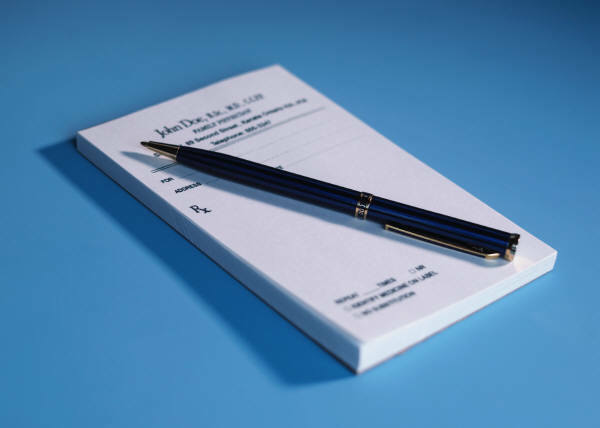 Many medications require prior authorization. Depending on your insurance this process may involve several steps by both your pharmacy and your provider. Once the prior-authorization form is completed, both the pharmacy and Dr King’s office must wait for approval. Neither the pharmacy nor the provider can guaranty that your insurance company will approve the medication. You may be required to make an office appointment to complete the process.